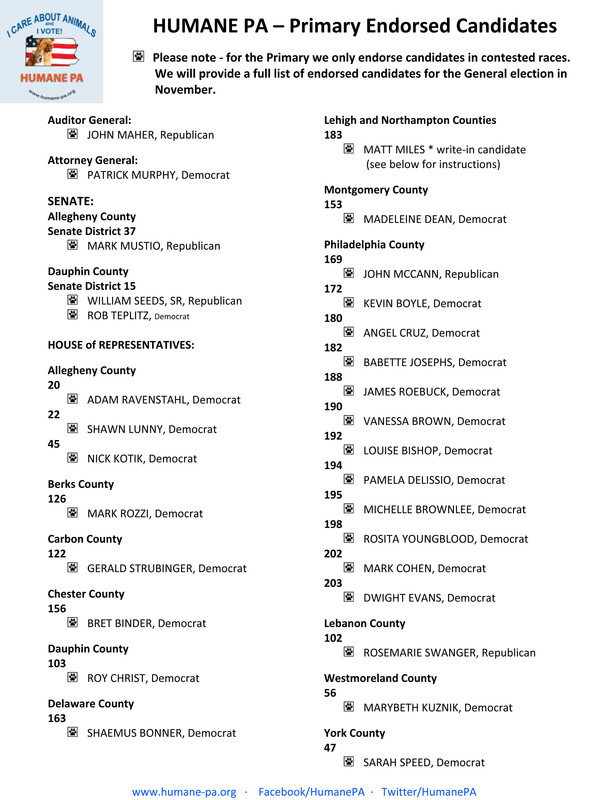 Here is a printable copy of our Humane PA Endorsed Candidates list to take with you to the polls. 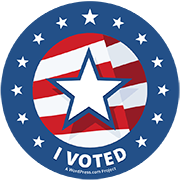 * A “Write-in” vote is the purest form of democracy we have. You can, on any given candidate, write-in a nomination in every single election. You have a choice, and I am humbly asking for your choice in writing in MATT MILES as your candidate for the primary election this April. I will need 300 write-in votes to make the Fall ballot. Step 1: Press the Write-In Square for Representative to the General Assembly 183rd. Step 2: The arrow will flash. You are now ready to cast your write-in vote. Step 3: Using the write-in keypad below the ballot, Type in MATT MILES. You should see the letters appear in the window to the left of the keypad. Step 4: If you make an error on a write-in, press the left arrow key to move back. To make a space, press the right arrow key. Step 5: When you are finished keying the name, press Enter on the write-in keypad. The arrow should stop flashing when you press Enter. This means your vote has been submitted. You are allowed by law to have anyone whom you choose to assist you in casting your vote. This includes a poll worker. Please, do not be afraid to ask for help. It is your right to!